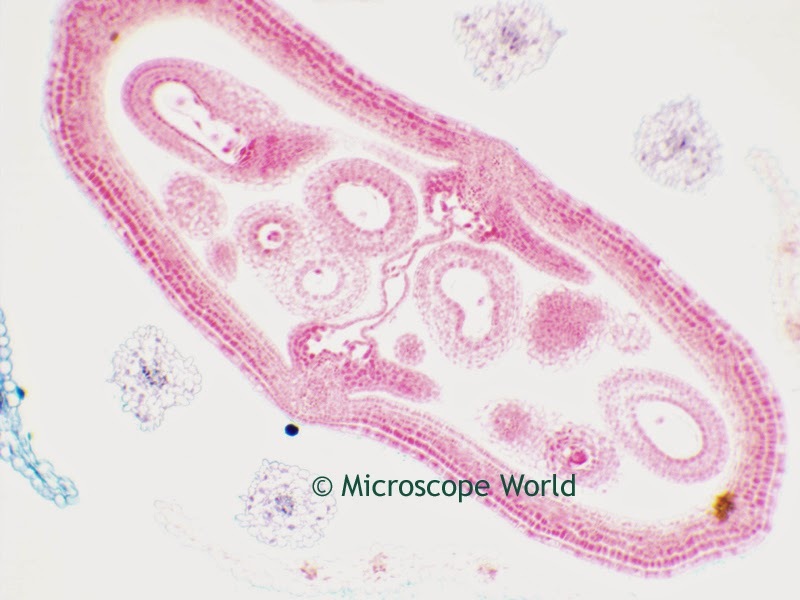 The images below are of a Capsella of a Bud of a flower. These images are of the cotyledon, a significant part of the embryo within the seed of a plant. Upon germination, the cotyledon may become the embryonic first leaves of a seedling. The images were captured using the Richter Optica UX-1D Plan Achromat digital high school microscope. Capsella of Bud captured at 40x magnification under the UX-1D microscope. 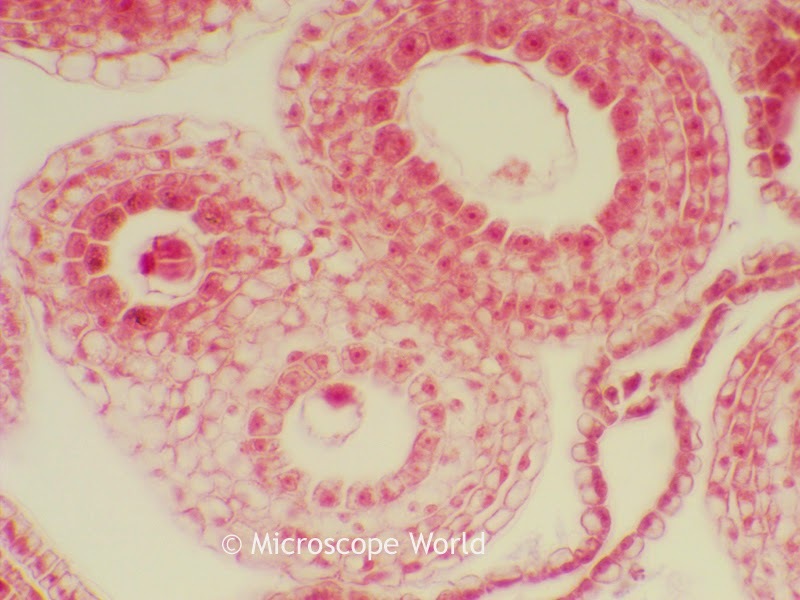 Capsella of Bud captured at 100x magnification under the UX-1D microscope. Capsella of Bud captured at 400x magnification under the UX-1D microscope. 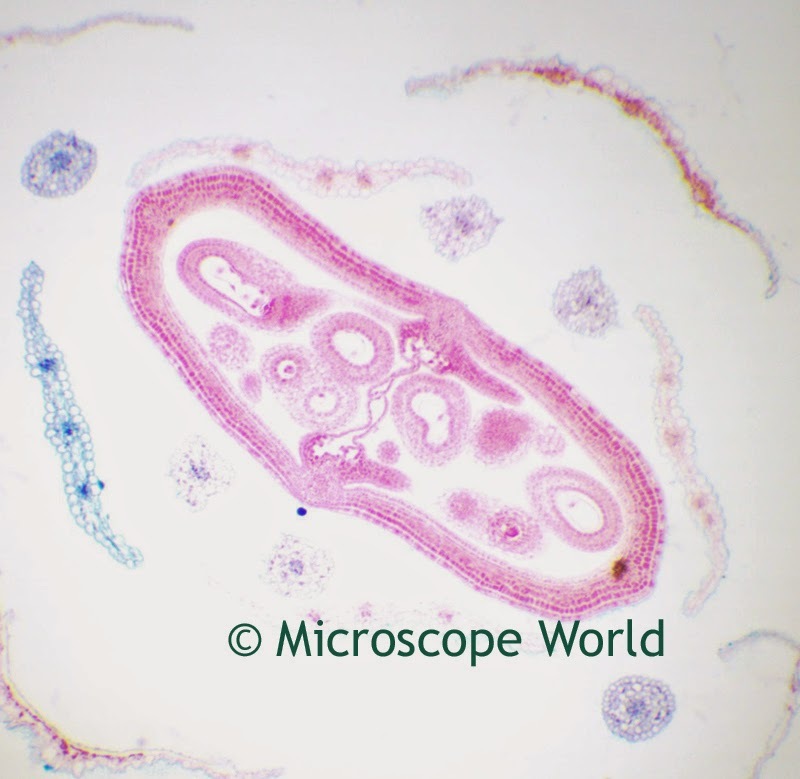 This prepared slide is part of the Fruit and Flower prepared slide kit from Microscope World.